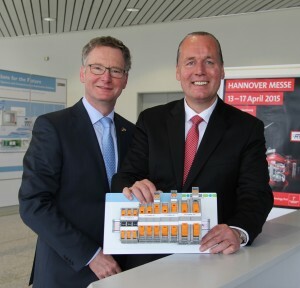 Chief Executive Officer Frank Stührenberg expressed his “delight at the results for 2014” during a press conference on Phoenix Contact’s economic growth for the past year. The corporate group’s revenues grew by 8.5 percent to €1.775 billion. “We have tripled our revenues within 15 years,” says Stührenberg, highlighting the successful results. The industrial electronics manufacturer invested €125 million in the expansion of the corporate group. An 11,000-m² innovation and production center was opened in the U.S., where 250 employees work in research and development, marketing, and production. The global workforce increased by approximately 1,100 new employees. Phoenix Contact is expecting revenue growth of eight percent for the current year. Stührenberg is optimistic in his outlook. “We are seeing a growth in the markets where Phoenix Contact already has a strong presence and our products have already been in use for a long time.” These include the market segments of infrastructure, energy distribution, and renewable energy. The company wants to invest approximately €150 million in national and international expansion activities. A new building in Bad Pyrmont, Germany, will provide an office and lab space of 18,000 m² for the corporate group’s ability to provide expert solutions. Completion is slated for the end of 2016. Phoenix Contact E-Mobility GmbH will establish a subsidiary in China, the world’s largest electromobility market, in the third quarter of 2015. An investment of €20 million will increase production volumes at the site in Nowy Tomy?l, Poland. On 1 September, 100 trainees will embark on a new career, and almost half of them will start in July already as part of their dual education study program. Our new version of our Phoenix Contact catalogue app can be downloaded in App Store. Initially, the new version is offered in English and German for iOS devices. A version for Android devices and additional languages are being prepared for the course of 2015. With the new catalog app, you can access our complete product range by navigating through the familiar Phoenix Contact product structure. Intuitive navigation and different check lists will make it a lot easier for you to place your order. Always find the right contact person, and the information fitting your needs. You can easily navigate through our product range with the new catalog app. Exportable checklists make it easier for you to place your order. 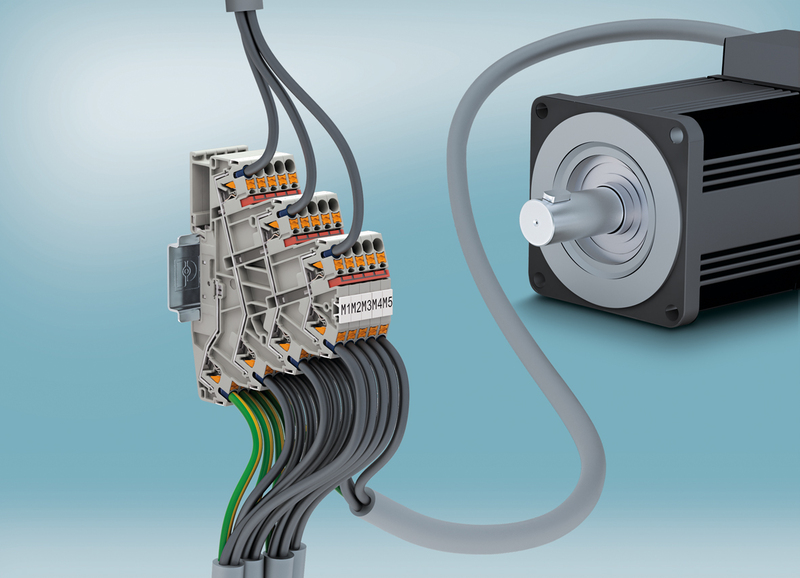 For easy motor connection, space-saving four-level terminal blocks are now available from Phoenix Contact with push-in connection technology for nominal cross sections up to 4 mm², 32A, and 600 V UL. Easy potential distribution via a function shaft on every level reduces wiring costs. A large-surface marking option clearly identifies every motor connection. 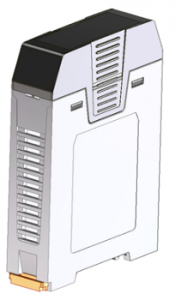 Each terminal point can be marked and is equipped with an easily accessible test opening. Thanks to 50 percent less insertion force, it is possible to insert solid and stranded conductors with ferrules and cross sections from 0.25 to 6 mm² without tools. The built-in actuation lever allows fully insulated releasing with any tool. The orange-colored button indicates the actuating element and prevents the terminal from being activated accidentally. Connection of stranded conductors from 0.2 mm² without ferrules is possible. 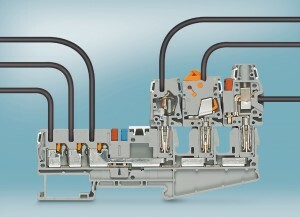 The motor terminals were developed within the CLIPLINE complete terminal block range for use of cross-system accessories. In addition to the same bridge system, the entire accessory range for marking and testing is identical to the push-in, screw, spring-cage, and IDC fast connection technology. Easter is understood to include Good Friday and Easter Sunday, which are three days apart. 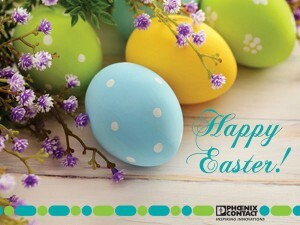 However Easter truly refers to Easter Sunday – the day on which the resurrection of Jesus is remembered and celebrated. Easter is the most ancient of Christian festivals, it is older than Christmas, and is considered the most important date in the Christian calendar. Phoenix Contact’s Combi product range now includes PT 2.5-HEXA multi-conductor terminals with up to six contact points. For example, these can be configured as three push-in contacts for internal wiring and three PIN contacts for pluggable external wiring. This flexible concept facilitates fast starting up of modular system sections, as well as fast replacement of system components during servicing. 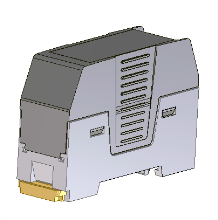 The high count of contact points makes the terminals particularly suitable as compact, pluggable marshalling distributors. Large, identically contoured labeling surfaces with end mounting facilitate easy-to-read matrix labeling. The components are very safe, thanks to the touch-proof design of both the terminal and the plug connectors. A double pluggable bridge shaft additionally facilitates simple voltage distribution and marshaling. Thanks to the universal Combi plug zone, a range of different types of plug connectors can be used. Individual coding increases the wiring safety and reliability as it helps to avoid erroneous plugging. 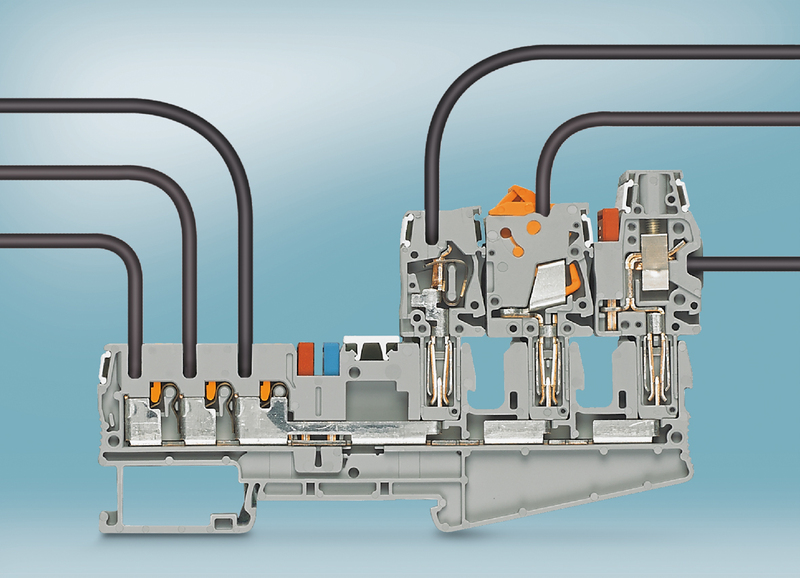 An extensive range of optional snap-on accessories, such as connector catch mechanisms, strain relief elements, and shield connections ensure the wiring process is fully versatile.